If you own a Ranger 800, Teryx4 or another side by side, you know how difficult it can be to store refreshing drinks while out riding the trails. If you do some serious riding and have harnesses it can be pretty difficult to reach your beverages. Getting out of the machine every time you need a drink is just a pain and wastes time. 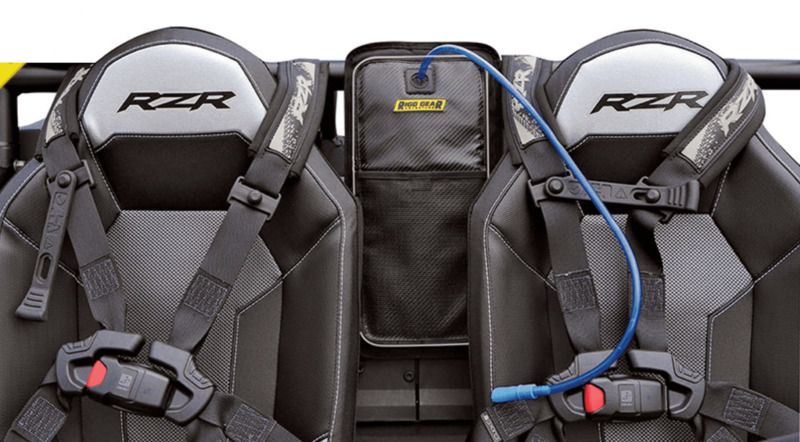 The Rigg Gear Hydration Bag provides quick access to quench your thirst as well as easy installation. Top quality Tri-Max Ballistic Nylon and Fibertech panels are water and UV resistant. The bag uses reverse coil zippers to help keep out dust and dirt from the trails. Universal Self-Fastening straps are perfect for mounting to most roll cages behind the seat quickly. 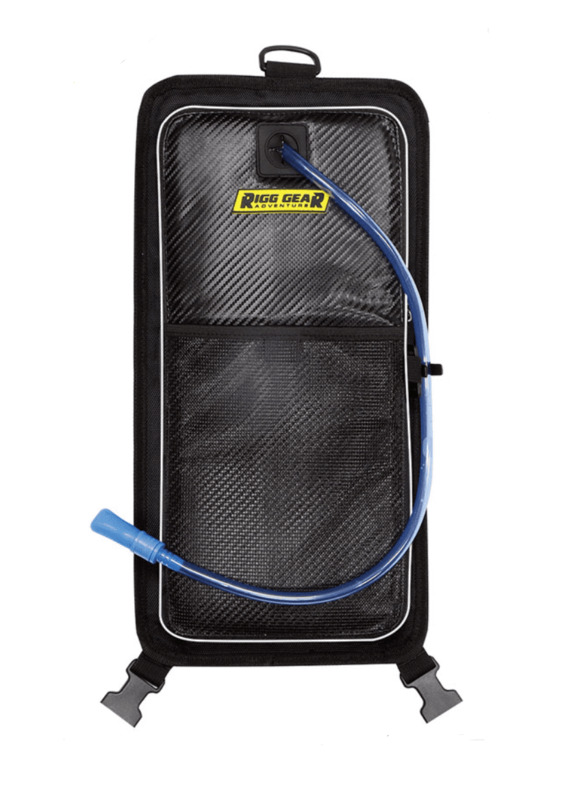 The 2-liter water bladder is surrounded by an insulated zipper compartment to keep the contents of your bag colder for longer. With a lifetime manufacturer�s warranty, you�ll be covered in almost any circumstance.